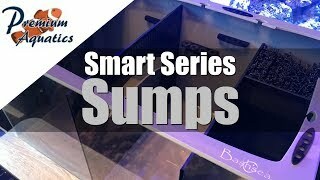 In Today's video we take a look at Bashsea smart series sumps which are available at Premium Aquatics. You don't want to miss out on these excellent craftsmanship. The Smart Series will have you leaving your cabinet doors open to show it off. Bashsea spares no expense and cuts no corners when it comes to their sumps.